Did you know that CNN sells Apple iPhone accessories, including cases and cables for up to 66% off? CNN is known as the 24/7 cable news channel created by Ted Turner in 1980. These days, CNN is owned by WarnerMedia, which is a subsidiary of AT&T. For mobile news junkies, CNN is available on multiple platforms including apps on iOS and Android that stream live video of CNN, CNN International, and HLN (formerly Headline News) with verification of a cable subscription. You might have known all of the above, but did you know that CNN sells accessories for mobile devices? 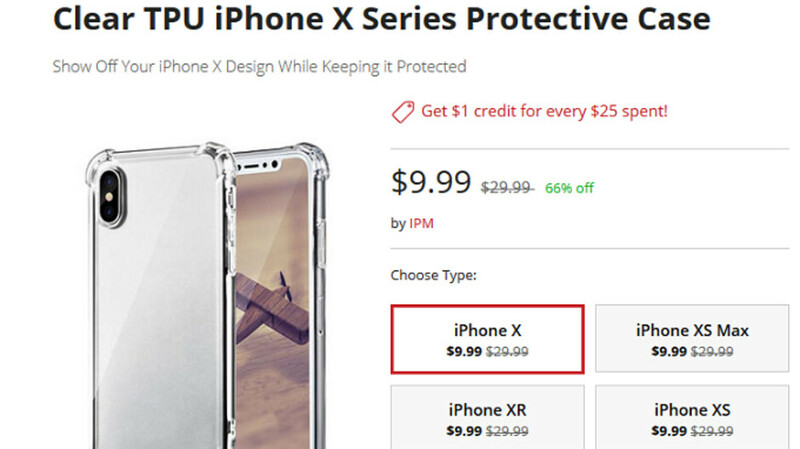 The CNN Store offers a section called Gears & Gadgets that includes a clear thermoplastic polyurethane (TPU) case for the Apple iPhone X, iPhone XS, iPhone XS Max and iPhone XR. Normally priced at $29.99, you can save 66% and pay only $9.99 (see image at the top of this article). There are two days left on this sale. Another deal offers a bundle of MFi (Made for iPhone) cables that are certified by Apple. These include a Lightning to 3.5mm headphone dongle, a Lighting to USB-C cable, and a regular Lightning cable. Normally priced at $99.99, CNN is selling the trio together for $39.99, or 60% off. This deal has three days left to run. Other products being sold include an attachment that helps smartphone users take pet selfies, 48% off at $12.99. A QYLX smart magnetic car mount is 23% off at $37, and a universal 3-in-1 lens kit for smartphones and tablets is 66% off at $9.99. For every $25 you spend at the CNN Store, you will also receive a $1 credit toward a future purchase. I'm surprised you guys don't sell iphone cases. Lol. That case in the picture above looks identical to the pzoz and imak cases on my NexS and Mix2. Excellent cases by the way. But........... they cost me about $6 each so Apple selling them for $29.99 is daylight robbery. I can't understand why iPhone users enjoy the enemas Apple gives them with these accessory prices. I have an iPhone but I'll never pay over $9 for a case, I've got mine free for the purchase of my iphone and it's working as intended protecting my phone. It has fallen like 3 times and still no scratches or cracks! This also applies to screen protectors, no more than $10. iPhone users that buy overpriced accessories are the reason why Apple didn't include the headphone dongle and big charging brick to the new models. Wow I’ll make sure to never buy anything from cnn, att, or phonearena anymore thanks! Cnn is basically brainwashing people , it's not news anymore , do you see the news nowadays ? it just feels like useless opinion of dimwit journalists thrown at our faces as news. It's just items they get from 3rd party retailers and sell them on their website. If you look at the brand that is providing those accessories, you can find them on other websites like StackSocial and even Crackberry's own web store. CNN most likely just gets a cut from the sale. Hmm, never tried the Fake News brand cases! Then try the Faux News Channel brand!